Volume loss is a natural part of the ageing process. Sometimes difficult to describe, a loss of volume is very common and alters the structure and shape of the whole face; some indicators that volume has been lost are sagging skin, a heavy-looking lower face and a loss of definition and contours. A major difference between a young face and an ageing face is often the loss of volume. When we’re young it’s common to have high cheekbones, a defined jawline and smooth, plump skin. These features create a face shape that is associated with a youthful appearance; wider at the top, tapering down to the narrowest point at the chin. As we age, a combination of physical changes such as the shrinkage of fat pads in the face, the loss of collagen, elastin and hyaluronic acid and thinning bone density mean the youthful face shape often becomes inverted. The result? A heavier lower face and jawline, flatter cheeks, thinner lips and sagging skin. By replacing some of the lost facial volume, usually around the mid and cheeks area you restore some of the youthful proportions of the face and can also achieve a lifting effect, including a softening of the jawline. At The Skin to Love Clinic we can subtly restore your lost volume with treatments such as dermal fillers and the Thread Lift. We also have effective treatments for lifting and firming the skin including Thermage CPT and Regenlite which can be used alone or in combination with volume restoring treatments. 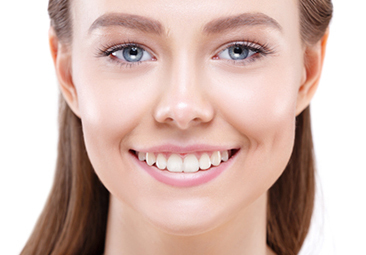 If you would like to discuss restoring facial volume, please do not hesitate to contact our friendly team who will happily arrange a consultation for you.